The Nobel Prize in Chemistry for 2012 is awarded to two Americans, Robert J. Lefkowitz and Brian K. Kobilka, "for studies of G-protein–coupled receptors". Our body is a fine-tuned system of interactions between billions of cells. Each cell has tiny receptors that enable it to sense its environment, so it can adapt to new situtations. Robert Lefkowitz and Brian Kobilka are awarded the 2012 Nobel Prize for groundbreaking discoveries that reveal the inner workings of an important family of such receptors: G-protein–coupled receptors. The academy said it was long a mystery how cells interact with their environment and adapt to new situations, such as when adrenaline increases blood pressure and makes the heart beat faster. Scientists suspected that cell surfaces had some type of receptor for hormones. Lefkowitz managed to unveil receptors including the receptor for adrenaline, using radioactivity and started to understand how it works. Kobilka's work helped researchers realize that there is a whole family of receptors that look alike — a family that is now called G-protein-coupled receptors. About half of all medications act on these receptors, so learning about them will help scientists to come up with better drugs. Lefkowitz, 69, is an investigator at the Howard Hughes Medical Institute and professor at Duke University Medical Center in Durham, North Carolina. Kobilka, 57, is a professor at Stanford University School of Medicine in California. 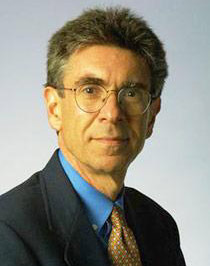 Dr. Lefkowitz was born on April 15, 1943 in New York City. He graduated from Columbia University College of Physicians and Surgeons in 1966 with an M.D. Degree. he served as a Clinical and Research Associate at the National Institutes of Health from 1968 to 1970. From 1970 to 1973 he was at the Harvard University affiliated Massachusetts General Hospital in Boston, Massachusetts, where he completed his medical residency and research and clinical training in cardiovascular disease. Upon completing this training in 1973, he was appointed Associate Professor of Medicine and Assistant Professor of Biochemistry at the Duke University Medical Center. In 1977 he was promoted to Professor of Medicine and in 1982 to James B. Duke Professor of Medicine at Duke University. He is also Professor of Biochemistry. Brian Kent Kobilka Brian is from central Minnesota. He is a professor in the departments of Molecular and Cellular Physiology and Medicine at Stanford University School of Medicine in the United States. He is also the co-founder of ConfometRx, a biotechnology company focusing on G-protein coupled receptors. He was named a member of the National Academy of Sciences in 2011. Kobilka is best known for his research on the structure and activity of G protein-coupled receptors (GPCRs); in particular, work from Kobilka's laboratory determined the molecular structure of the beta-2 adrenergic receptor. 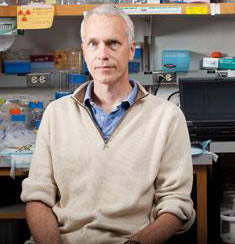 His GPCR structure work was named "runner-up" for the 2007 "Breakthrough of the Year" award from Science. Nissan Unveiled Driver less Car!